"The rise and fall of a power hungry mobster." Scarface is a 1932 gangster film that was based on the 1929 novel of the same name. Both the movie and the novel were loosely based on the story of Al Capone. 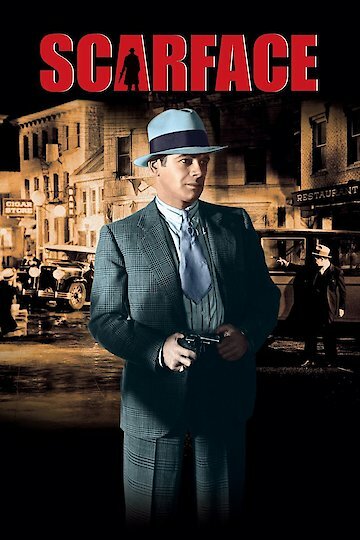 Set in 1920's Chicago, the film depicts gang warfare as Tony Camonte (the Capone analogue) and other Italian gangsters fight Irish mobsters over control of the city's organized crime. The film also depicts a version of the St. Valentine's Day massacre. The public outrage caused by the latter leads to Camonte having a shoot-out with the police. Scarface is currently available to watch and stream, buy on demand at Vudu, Google Play, FandangoNow, iTunes, YouTube VOD online.